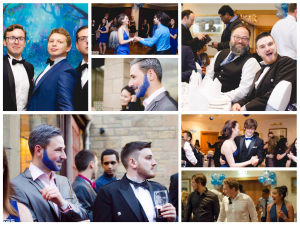 Postgraduate students, led by Paul Dobra, organised the first ever CS Ball in August. The celebration coincided with finishing summer dissertations and the annual poster and demo session. 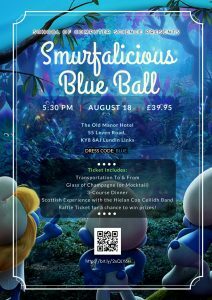 The school sponsored Smurfalicious Blue Ball proved very popular and sold out of tickets earlier in August. 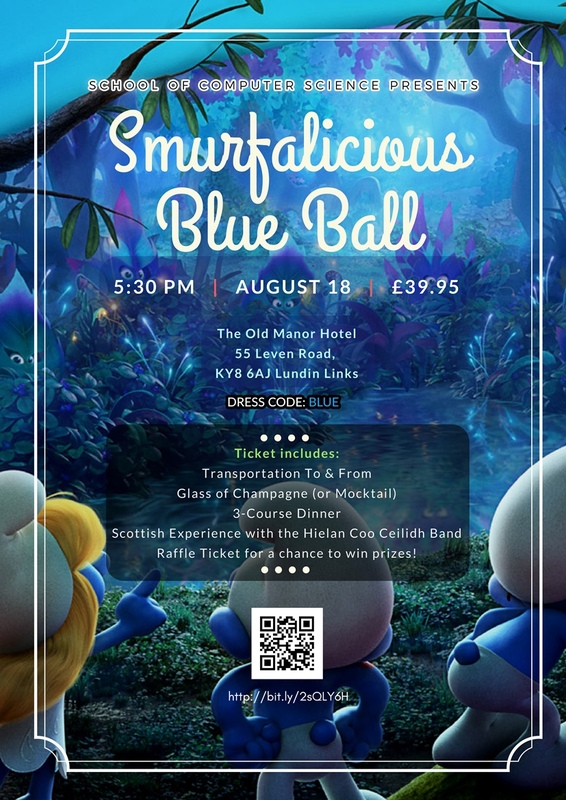 The theme was blue and the location was The old Manor Hotel, in Lundin Links. The evening comprised of champagne, dinner and a Ceilidh till midnight. Students are pictured enjoying the 3 course dinner and fully embracing the spirit of a Cèilidh. We look forward to seeing them at December Graduation. Images courtesy of Paul Dobra, Ula Rustamova, Nick Tikhonov, and Xu Zhu.